Perfect for shoe addicts! 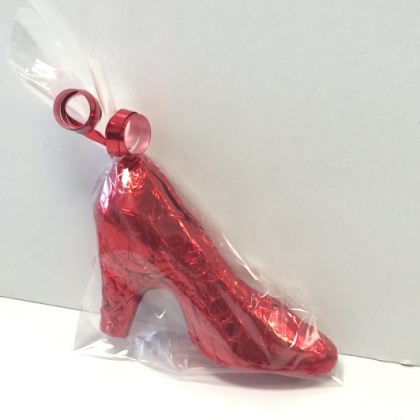 Solid milk chocolate red high heel. 1.5 oz. Approx. 3.5 inches long and 2.5 inches tall. Kosher Dairy under the Star-K Dairy Supervision.